Iktar kmieni dan ix-xahar l-Assoċjazzjoni tal-Iżviluppaturi Maltin (MDA) permezz tal-President tagħha Sandro Chetcuti ħeġġet lill-Gvern biex jindirizza sewwa l-problema tal-iskart tal-kostruzzjoni. Flok ma jaġixxi kif mitlub, il-Gvern għandu jitlob lill-Assoċjazzjoni tal-Iżviluppaturi bħala r-rappreżentant ta’ dawk li jipproduċu l-parti l-kbira ta’ dan l-iskart biex tassumi responsabbiltà diretta għall-iskart tal-kostruzzjoni ġġenerat mill-membri. Il-lobby tal-iżviluppaturi kontinwament temfasizza li temmen bis-sħiħ fl-iżvilupp sostenibbli. Forsi wasal iż-żmien li jibdew jipprattikaw dak li jgħidu li jemmnu fih. Dan billi japplikaw il-prinċipji li (jgħidu li) jemmnu fihom biex isolvu l-problema tal-iskart tal-kostruzzjoni li jiġġeneraw u b’hekk inaqqsu l-impatti ambjentali tal-industrija tal-kostruzzjoni. Hawn kunsens ġenerali li l-ġebla hi riżors skars. Imma ma hawn l-ebda sforz fis-seħħ biex l-iskart iġġenerat mill-kostruzzjoni jkun riċiklat, kollu inkella in parti. Il-gebla tifforma parti sostanzjali mill-iskart iġġenerat mill-industrija tal-kostruzzjoni. Ir-riċiklaġġ ifakkarna fil-kontenituri kbar għall-karta, plastik, metall jew ħġieġ f’uħud mit-toroq tagħna. Illum ma dan ninkludu l-iskart organiku kif ukoll l-iskart elettriku u elettroniku. Imma meta ser nibdew nindirizzaw il-problema tal-iskart tal-kostruzzjoni bis-serjetà u nirriċiklawh? Qatt kellek bżonn xi xorok tal-franka biex tibdel oħrajn li kienu maqsumin? Mhux qed nirreferi biss għal dawk ta’ daqs żgħir li nsibu f’uħud minn djarna imma ukoll għal dawk ferm ikbar fid-daqs li fl-industrija nirreferu għalihom bħala xorok tal-qasba li ħafna drabi ssibhom f’bini qadim, inkluż irziezet, u li għalihom tħallas minn imnieħrek. Ma nafx jekk qatt rajtux reklami ta’ bejgħ ta’ garigor tal-ġebel żarmat li jkun ġie salvat minn bini, x’aktarx qadim, li jkun twaqqa’? Għax bħala fatt ir-riċiklar ta’ dak li uħud iqisu bħala skart tal-kostruzzjoni diġa qiegħed isir, avolja fuq skala żgħira. Ir-realtà hi li dan hu mod prattiku kif tista’ tkun indirizzata din il-materja b’mod sostenibbli. Irridu nsibu użu għal dak kollu li llum inqiesuh bħala skart sostenibbli. L-Istrateġija dwar l-Immaniġjar tal-Iskart għall-Gżejjer Maltin addottata fl-2014 għandha sotto-titlu li jemfasizza l-ħtieġa li din l-istrateġija twassal għall-immaniġjar aħjar tar-riżorsi. B’referenza għall-iskart tal-kostruzzjoni dan ifisser li titwal il-ħajja utli tar-riżorsi u bħala riżultat ta’ dan il-ġebla tintuża aħjar. Din hi opportunità biex nissalvagwardjaw ir-riżorsi limitati ta’ pajjiżna. Li nżidu l-barrieri biex fihom jitqiegħed l-iskart tal-kostruzzjoni mhu ser isolvi xejn. It-tħabbira riċenti dwar il-ħlas miżjud ta’ €8 għal kull tunellata ta’ skart tal-kostruzzjoni li jinġabar fil-barrieri huwa baxx. Il-piz fuq il-pajjiz bħala riżultat tal-iskart tal-kostruzzjoni hu ferm iktar minn miżerja ta’ €8-il tunellata. Fil-prattika dan ifisser li l-industrija tal-kostruzzjoni hi sussidjata. Lura fl-2012 kien irrappurtat fil-medja lokali li l-Wasteserve kienet qed titlob ħlas ta’ €20 għal kull tunellata ta’ skart mingħand il-Gvern. Il-parti l-kbira ta’ dan il-ħlas dakinnhar kien sussidjat u mħallas minn fondi pubbliċi. Flok rata ta’ €8-il tunellata l-iskart tal-kostruzzjoni għandu jkun soġġett għall-ħlas ferm għola ta’, ngħidu aħna €100-il tunellata: €8 jkunu ħlas għall-operaturi tal-barriera u l-bqija taxxa ambjentali. Dan jassigura li l-industrija tal-kostruzzjoni tagħmel tajjeb għall-ħsara li qed tikkawża. Ħlas sostanzjali jkun ukoll xprun biex l-industrija tal-kostruzzjoni tibda tipprattika r-riċiklaġġ fuq skala kbira. Dak li illum inqiesuh skart tal-kostruzzjoni jista’ jistablu użu divers. Ikun ifisser imma li t-twaqqiegħ tal-bini, meta dan ikun neċessarju, isir b’mod ordnat li jassigura l-inqas ħsara possibli fl-elementi tal-bini li jkun ser jitwaqqa’ biex ikun assigurat l-użu mill-ġdid tagħhom. Għax il-parti l-kbira tal-materjali li nsibu fil-bini li jitwaqqa’ jista’ jerġa’ jintuża. L-industrija tal-kostruzzjoni teħtieġ li taġixxi b’mod responsabbli u dan billi terfa’ b’mod dirett ir-responsabbiltà għall-impatti ambjentali tagħha. Huwa b’dan il-mod li nistgħu nindirizzaw bis-serjetà l-iskart tal-kostruzzjoni u mhux bis-“servizzi soċjali” għall-iżviluppaturi, permezz ta’ tariffi baxxi jew issussidjati. 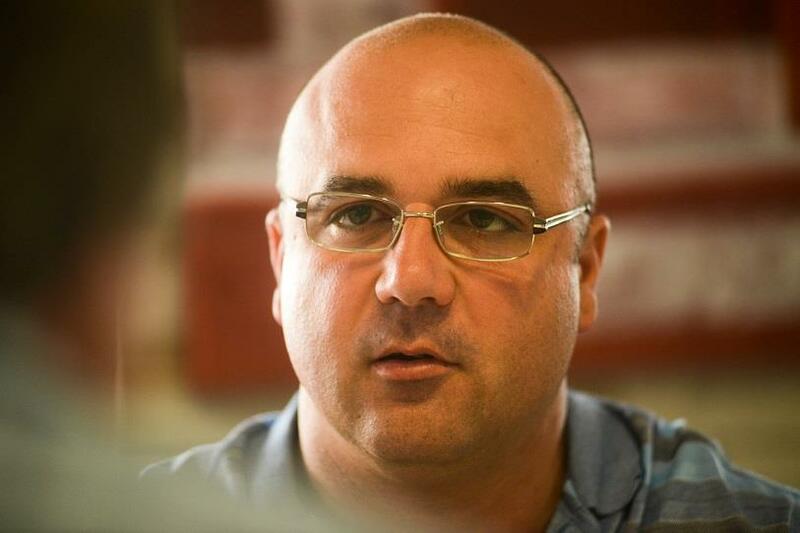 Earlier this month the Malta Developers Association (MDA) – through its President Sandro Chetcuti – urged the government to tackle the problem of construction waste. Instead of acting as requested, the government should request that the MDA, being a representative of the major producers of this waste stream, should assume responsibility for the construction waste which is mostly generated by its members. Time and again, development lobby has emphasised the fact that it strongly believes in sustainable development. How about putting its beliefs into practice and applying them to resolving the issue of the construction waste which it generates, thereby contributing to a reduction in the environmental footprint of the construction industry? There is general agreement that stone is a scarce resource, yet no efforts are being made to divert construction waste – in whole or in part – to recycling, although stone forms a substantial part of the construction waste generated. When we speak of recycling, the paper, plastic, metal and glass recycling bins come to mind. To these, nowadays, we include organic waste as well as electric and electronic waste. We are rightly told that we need to “sort it out”. What about sorting out construction waste and recycling it? Can’t be done? You are joking! Ever been in need of a stone slab to replace a damaged one? I am not only referring to the small normal-sized ones, but the large ones – those we refer to in the building industry as “xorok tal-qasba” – which fetch a considerable price on the market. Have you ever come across a dismantled stone spiral staircase put up for sale? As a matter of fact, the recycling of what some consider to be “construction waste” is already in hand but it is carried out on a very small scale. In reality, this is the only practical and sustainable solution: finding a suitable use for what is now considered as being “construction waste”. The Waste Management Strategy for the Maltese Islands, adopted in 2014, is sub-titled: A resource management approach. With reference to construction waste this entails “lengthening the life cycle of virgin resources” thereby maximising the limestone resource. It is an opportunity to safeguard the limited resources of our islands. Opening up more landfills is no solution to addressing the issue of construction waste. The recently announced charge of €8 per tonne of construction waste is too little. Construction waste imposes much higher costs on the country than a mere €8 per tonne. In effect, this means that the construction industry is being subsidised. Way back in 2012, it was reported in the local media that Wasteserve was charging the government €20 per tonne for waste deposited at its landfills. Most of these charges were then subsidised, they were paid out of public funds. Instead of the €8 per tonne of construction waste, a high landfill charge – say €100 per tonne – should be charged: €8 being the landfill operational charges with the rest being an environmental tax. This would ensure that the construction industry internalises its costs, that is, it pays for them itself. It would also kick-start the construction industry into actively recycling on a large scale. Many uses can be found for construction waste. It would certainly, however, signify that demolition work, where necessary, are carried out in a more orderly manner, with the aim of preserving stonework with the least amount of damage for possible re-use. Most recoverable materials can be recycled and re-used. The construction industry needs to act responsibly: it must accept direct responsibility for its environmental footprints. This, rather than the introduction of “social services” for Sandro’s MDA in the form of low or subsidised landfill charges, is the only way to address the construction waste generated. Li tipprova titgħallem dejjem tajjeb. Opportunitá tajba għat-tagħlim, għaldaqstant m’għandna nitilfuha qatt. Ġie imħabbar f’dawn il-ġranet li l-assoċjazzjoni tal-iżviluppaturi Maltin (MDA) iffirmat ftehim ta’ kooperazzjoni mal-ANCE ta’ Ragusa. L-ittri ANCE jfissru Associazione Nazionale Costruttori Edili – l-Assoċjazzjoni Nazzjonali ta’ dawk li jibnu l-bini residenzjali. Dan il-ftehim ta’ kooperazzjoni, qalulna, kien meħtieġ għax hemm ħafna x’nitgħallmu mingħand xulxin: bejn żviluppaturi Maltin u Sqallin, jiġifieri. Bla dubju hemm ħafna nies tas-sengħa fi Sqallija, inkluż fis-snajja tal-bini. Il-presenza tiżdied tagħhom f’Malta tista’ tgħin lill-Maltin (fl-istess snajja) biex itejbu x-xogħol tagħhom. Imma tajjeb li nifhmu ukoll li anke f’Malta għandna ħafna mustaċċuni fis-snajja konnessi mal-bini. Ikun interessanti liema huma dawk is-snajja u kapaċitajiet li ser issir emfasi dwarhom. Bla dubju wieħed mill-oqsma li jista’ jkun hemm min jitħajjar jitgħallem ftit ieħor huwa dwar l-appalti pubbliċi (dwar it-tenders pubbliċi jiġifieri). Nifhem li jistgħu jitħajru jiġu xi professuri minn Sqallija, minn dawk li għandhom esperjenza kbira. Ma nafx jekk jiġux minn Ragusa inkella minn xi parti oħra ta’ Sqallija. Dan hu qasam li minkejja l-“iżviluppi” kbar f’Malta, għadna apprentisti ħdejn l-iSqallin! Imma, ovvjament, il-possibilta tat-tagħlim m’għandhiex tkun skartata. Ikun interessanti x’sehem ser ikollhom l-uffiċjali pubbliċi u l-politiċi li ħadu sehem fil-laqgħat bejn l-iżviluppaturi Maltin u dawk Sqallin. Probabbilment li l-għatx tagħhom għat-tagħlim hu kbir wisq. Having an area of 2.02 square kilometres, the principality of Monaco is around 58 per cent the size of Comino, which has an area of 3.50 square kilometres. Monaco is home to 38,000 persons: Comino having only one resident! There is practically no ODZ in Monaco: in fact land development there is so intensive that it has been taking up small chunks of the Mediterranean along its coastline which it has been reclaiming since way back in 1880 in order to make up for a lack of land for development. Malta Development Association (MDA) President Sandro Chetcuti is on record as stating that Malta’s future ought to be one that follows the path traced by Monaco. This, in my opinion, signifies just one thing: the development of every possible square metre of these islands. The building development lobby is only concerned about today: making hay (today) while the sun shines. Sandro Chetcuti believes that the Monaco blueprint is the only realistic one. This is a vision very similar to Joseph Muscat’s “Dubaification” of the Maltese islands: a vision of high rises and land reclamation. Chetcuti and Muscat sing from the same song sheet. They think and act as if tomorrow never comes. Development cannot stop, maintains Chetcuti, as “many” would be hurt. The “many”, obviously, being those seeking to make hay, while their sun still shines. They are aware that, at some point, their sun will set and hence they will no longer be able to make hay. Until such a day comes, should they be allowed to ruin everywhere? Tomorrow will come, and the sun will rise again only for us to realise that we have increased substantially the problems bequeathed to future generations. Obviously, the point about Monaco which sets Chetcuti ticking is that practically all its 2.02 square kilometres is an urban area. Monaco has no ODZ which can be taken up by rationalisation schemes to increase its building stock. Instead, it reclaims land from the sea and thus slowly adding to its land mass over the years. The concrete jungle developing all around us is suffocating. It is fuelled by a building development industry which has no idea of where to stop and which wants more land for development. It is about time that the building industry is cut down to size. We should all realise, before it is too late, that the ongoing building spree is unsustainable and that progress is not measured in terms of buildings, roads or the enormous number of cars on our roads. Our quality of life is actually measured through the open spaces we can enjoy and through rediscovering our natural roots, which have been obliterated through the ever- expanding urban boundaries. The building industry is bent on producing more hay while the sun shines: on building more and more until such time that the Dubaification policy of the present government remains in implementation. Unfortunately the resulting “hay-fever” is being inflicted on all of us. The sun rises for everyone, not just for those seeking to make hay, and when it sets, we rest – preparing for the morrow and hoping that, when it comes, we will still be in time to repair the extensive damage being done to us all. Fi stqarrija li ħarġet l-Assoċjazzjoni tal-Iżviluppaturi, bi tweġiba ovvja għall-konferenza stampa li jiena indirizzajt il-bieraħ f’Marsaxlokk, Sandro Chetcuti qed jiddefendi lil min xtara l-ħut fil-baħar. Għax hekk ġralu min xtara art li l-Parlament fl-2006 approva biex tkun tajba għall-bini, bħalma għamlu dawk li xtraw l-art fil-Mosta (Torri Cumbo) u Marsaxlokk (Marnisi), fl-aħbarijiet f’dawn il-ġranet. Meta fl-2006 il-Parlament bil-voti favur tal-Membri Parlamentari Nazzjonalisti u bil-voti kontra tal-Membri Parlamentari Laburisti approva li żewġ miljun metru kwadru ta’ art minn ODZ saru parti miż–żona ta’ żvilupp ma iddeċiediex x’seta jinbena fuqhom. L-anqas ma iddeċieda l-għoli li seta jinbena. Imma min kellu l-art f’ħafna każi fassal it-toroq u beda jbiegħ il-plots. U għamel kemxa ġmielha! Min approva fejn ser jgħaddu t-toroq? Ħadd. Tant li meta per eżempju nhar l-20 ta’ Marzu l-Kumitat Eżekuttiv tal-Awtoritá tal-Ippjanar kien qed jiddiskuti l-applikazzjoni tal-Mosta (dawk it-38,500 metru kwadru ħdejn it-Torri Cumbo) wieħed mill-membri tal-kumitat qal li l-applikanti ippruvaw jorbtu idejn l-Awtoritá billi fasslu t-toroq u qasmu l-plots b’dawn it-toroq qabel ma ittieħdet id-deċiżjoni. Issa x’jiġri jekk l-Awtorita tal-Ippjanar tiddeċiedi (kif għandha kull dritt li tagħmel) li tfassal it-toroq b’mod differenti? Jew inkella jekk tiddeċiedi li l-art għandha tinbena b’densitá baxxa, b’sular wieħed biss? Dan kollu Sandro ma jgħidux. Għax min fittex li jbiegħ l-art daħaq bin-nies meta qassamhom fi plots kif ried hu u mingħajr ma kellu f’idejh il-permessi tal-ippjanar biex ikun jista’ jagħmel dan. Xtraw il-plots meta ma kellhom l-ebda konferma dwar x’jista’ jinbena fuqhom. L-anqas biss ma kellhom konferma li l-plot li xtraw kellha faċċata mat-triq.